Legenda – is a new improved template that includes everything necessary you need for your online store. It can be a great choice for your Corporate Site, Ecommerce site, Photo Studio, Personal Blog, Portfolio Theme, Shop, Creative Agency etc. This PSD can easily satisfy all of your needs. 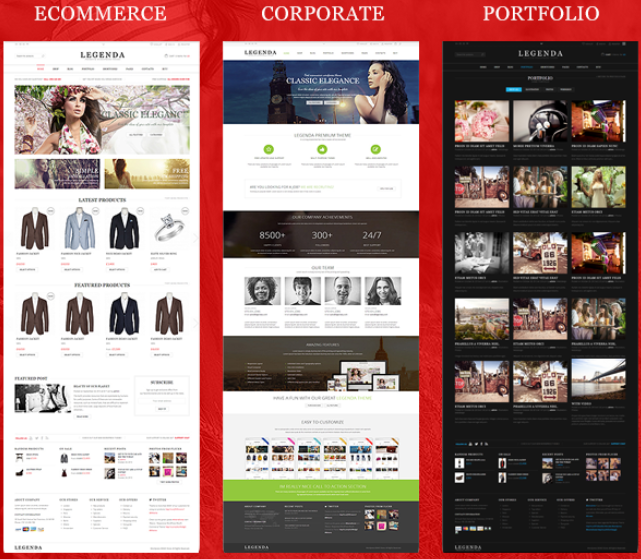 Item Reviewed: Legenda - E-Commerce and Corporate PSD and WP Theme 9 out of 10 based on 10 ratings. 9 user reviews.